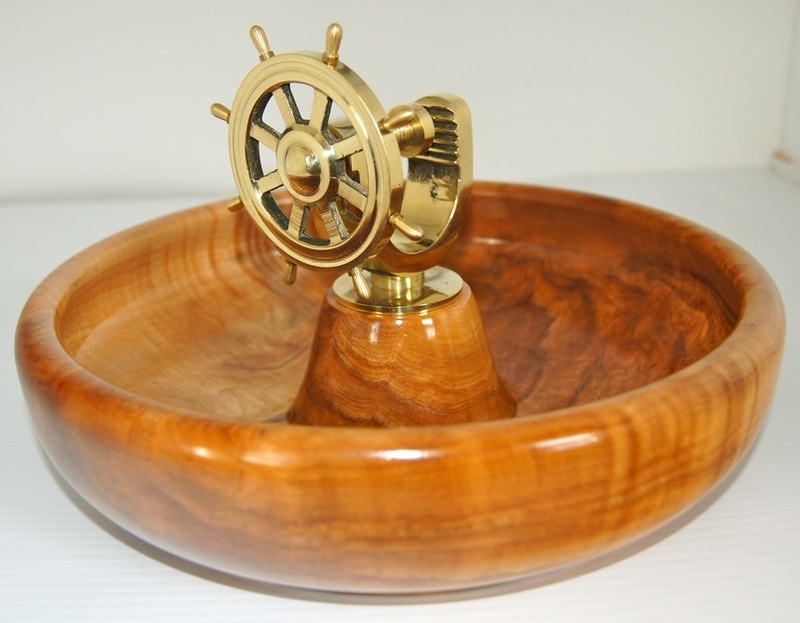 If you like to see usable item made from wood, let me show you what I can do with some of Mother Natures' woods and my lathe. 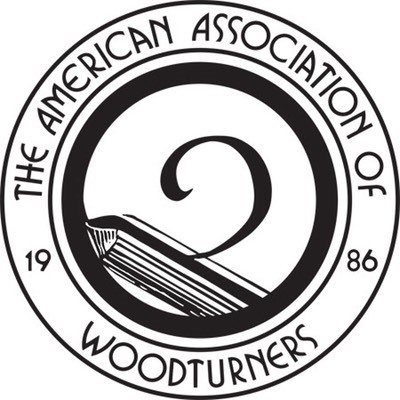 I will try to show you a wide variety of woods from around the world. 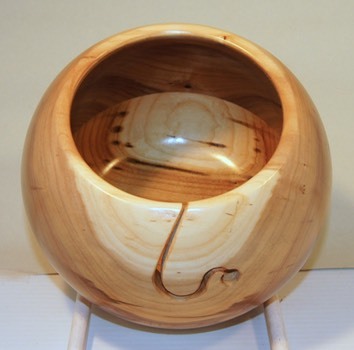 I start with a piece of wood like the one below and turn it into something we can use and admire. 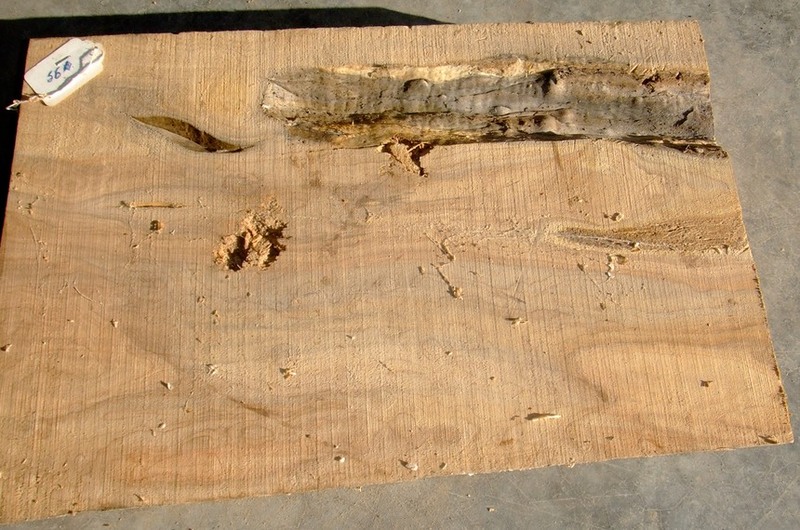 This piece is Maple acquired from Chilliwack Hardwoods several years ago and it was very wet. It took several years to dry and stabilize before I could use it. 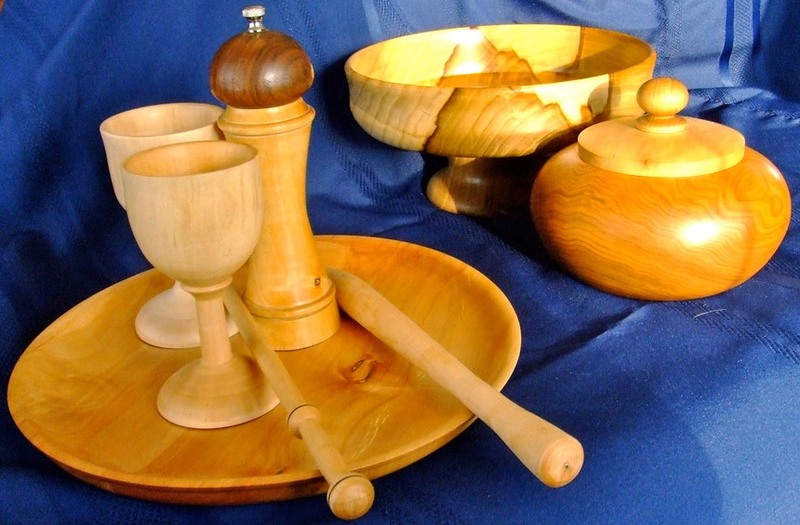 Can you believe this is the same piece of wood? Here is my latest creation. 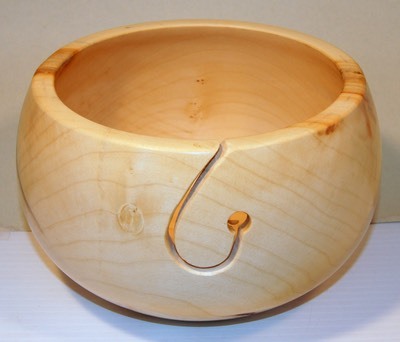 Our local knitters asked if I had ever made a Yarn Bowl, No, I said…So I had to give it a shot. This is my very first Yarn Bowl. As you can see, the yarn is threaded along the cut and into the small hole. I like the cut in my second attempt better. It has been suggested that all you need is a hole… Not so fast, how do you change projects?